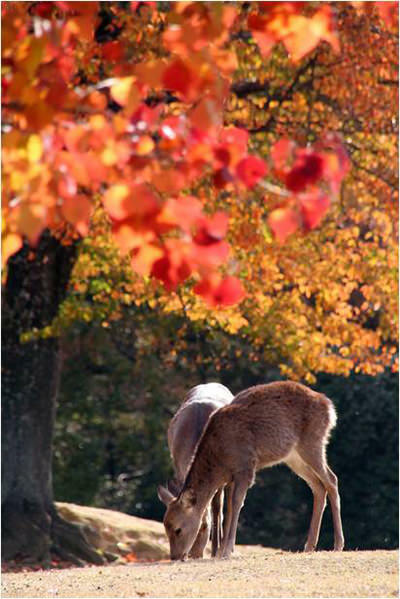 Nara Park is a very popular koyo viewing spot (refer to #066) in Japan. 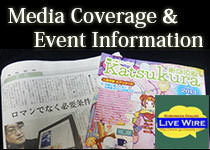 Nara Prefecture is located south of Kyoto Prefecture (refer to #035). 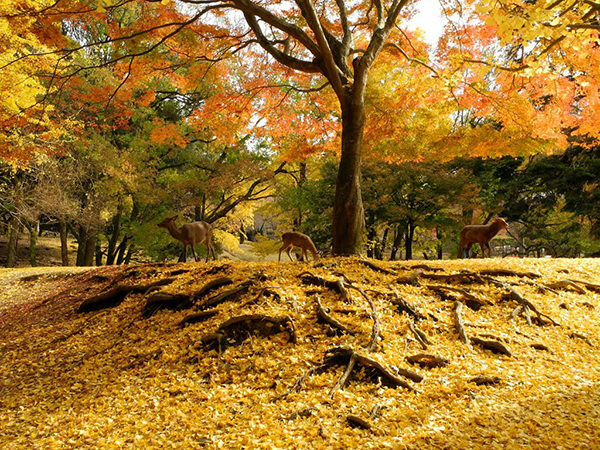 Nara City is the capital of Nara Prefecture and Nara Park is at the center of the city. Nara was the capital of Japan in ancient times even before Kyoto was. This park is very famous for deers living here. No less than 1,000 deers live in this park. 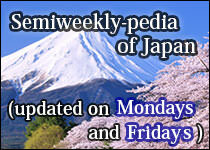 Japanese people have regarded them as sacred animals and taken great care of them since antiquity. Deers here are so gentle that they are loved by many tourists.